The knowledge of how a bike steers and balances are one of the same skill. Since 1985 I have always started my training of a learner or, an advanced rider around this theorem; which delivers results! Would think steering geometry is a standard in teaching and education, yet it isn’t. Scary! Some say it’s an advance skill, which it is most certainly not! 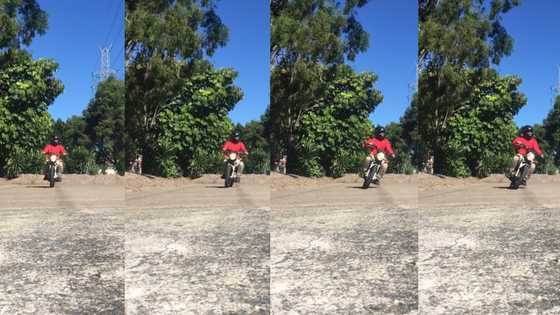 In fact, there are states in Australia where the learners are not taught how to steer a motorcycle; basic instruction is to just look through the turn. Which is even more scary! Over my 33 years of training learners and experienced riders, I would say that most riders have just hopped on a motorcycle and winged it! The photo below demonstrates steering geometry. Watch the video below (steering geometry in action) to really get an understanding of how a bike steers. All motorcyclists and bicycle riders, ride a single wheel track vehicle which requires the use of steering geometry to function. History highlights what I am talking about. Consider how we have grown from the penny farthing (where lessons were learnt painfully), which had no trail or rake and suffered horrendous handling issues to our modern bicycle. I would suggest that the modern bicycle has trail and rake in the front forks. 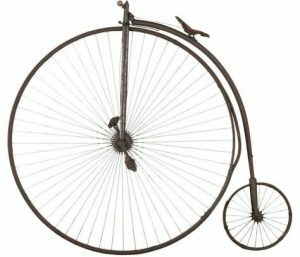 Our first motorcycle was nothing more than a bicycle with a small engine; heck imagine an engine on a penny farthing, no thanks! is that they have just jumped on a motorcycle and had a crack at learning to ride; self-taught. They learn organically, which means they have learnt by the seat of the pants; they are not sure what they do, they just do it! They do not have the technical understanding, it just happens. Often, they have googled it or received poor information in their early years. Motorcycle riders are a passionate mob. They love their recreational activities and love to help others get involved and enjoy the same passion. They have good intentions and they don’t mean to give the wrong advice, but unfortunately more times than not, they just do. Riders lack exposure to a range of variables in the style of a motorcycles mechanical knowledge, the genre of the motorcycle sport and activities, a vast range of weather conditions, road surfaces, low and high-speed activities, understanding learning phases and training program structure; which is what creates the poor knowledge. The best riders I have met have had a solid grounding and have had a gradual exposure to all of the above. Steering geometry in action, steering geometry stop/balance and steering geometry stimulation. All vital skills to understand and have, and one of the first things that Top Rider students are taught. As a mechanic, race engineer and rider on dirt and road, I have had to understand steering geometry and chassis set up. I know how to make a motorcycle chassis into a cruiser or a sports bike by changing the steering geometry and chassis set up. I also understand all the trade-offs in regard to changes that affect the steering geometry, steering efficiency, grip and the effects on braking biases. 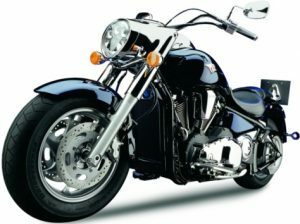 At Top Rider, we offer 39 training products and have always trained and showed our customers the whole package. Over the last 33 years I have been a: learner trainer, sports trainer, coach and mentor, so I have a great understanding of what motivates riders. I also understand the effects when a rider lacks required knowledge and skills. These riders, learners and elite, are all humans. When confronted with difficulties or worse, a life-threatening situation, they will simply close down mentally; leading to panic, irrational thoughts and/or even tunnel vision. I can assure you that if you let your partner, family or friend, ride without receiving all the information you are placing their life at risk of serious injury or even worse. If you are learning, make sure you are taught steering in your first phase of learning as it is extremely vital! There are three handlebar directions used, with three different body English inputs, that create five different systems of control; that are applied for different shaped corners and wet and dry conditions. Please learn to use your bars as it is lifesaving! See you on two wheels.